I have been travelling for almost 3 weeks. I’m finally home and hugging my sewing machine! Receiving some pretty great hugs from my baby and husband too. So here it is. My last 101 post for the summer..
1. 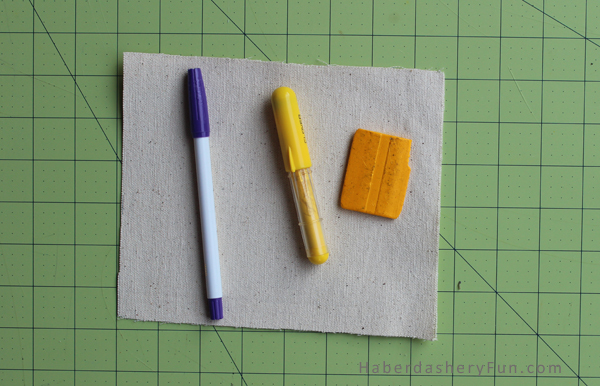 Disappearing Ink Pen – This may have been the first sewing tool I ever bought. Well, aside from scissors..I use this when I am designing new projects and need temporary lines. You hold it just like a pen and can write directly on your fabric. The pen lines disappear in about 24-72 hours. However, it draws a thicker line, so not the best for precision work. Make sure to test the pen on your fabric first. 2. Clover Chaco pen -This is my new love. It has a little wheel inside. As you roll the pen, it spins the chalk onto your fabric. 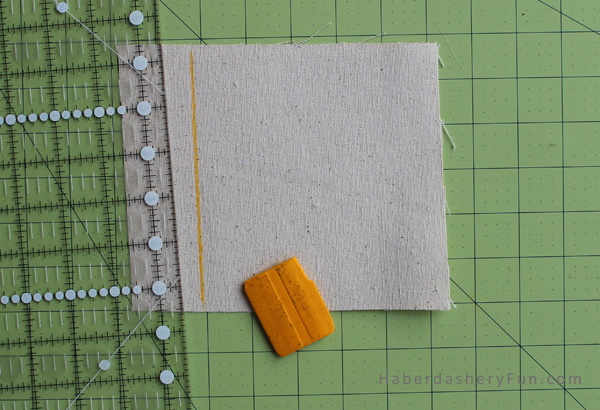 I love to use it for drawing long sewing lines. It is a MUST have for your quilting projects. The marking lines are light, so great for dark fabrics. Overtime, the chalk fades away. 3. Tailors Crayons – I used these wax crayons at my internships in London and New York. They are mostly nostalgic, as I don’t use them as much as I used to. 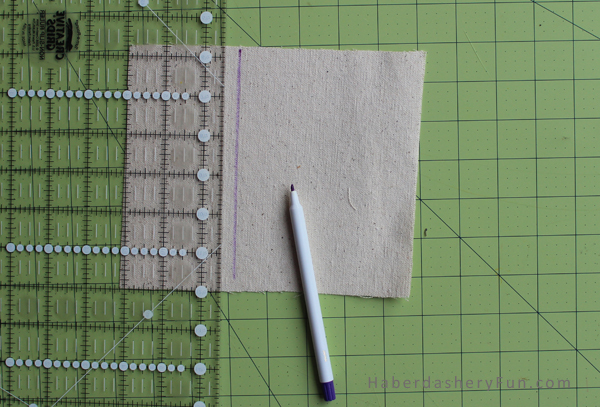 They are great for pattern drafting on fabric. 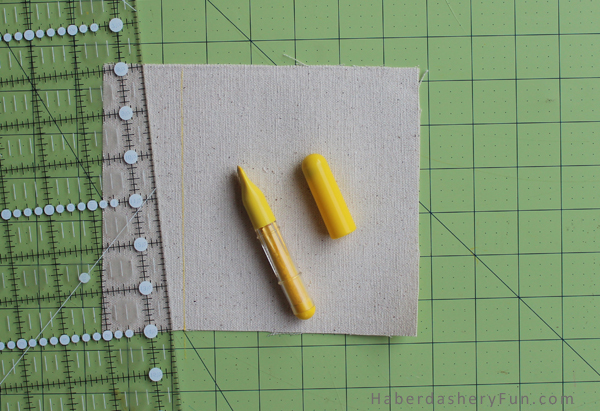 I liked using them when I was designing handbags and needed to make changes directly on the sample. When the edge is sharp you can make strong, clear and dark lines. Do not use on delicate fabrics. Try on heavier fabrics, and the wax will melt away when pressing. That’s it for now. Hope you are having a wonderful summer. Happy Sewing! I love the disappearing marker! I will definitely use that. Where can I get one? Hi – yes, the disappearing ink marker is awesome! Look for the “Dritz” brand at your local sewing shops. Just bought the Clover Chaco pen and love it too! !